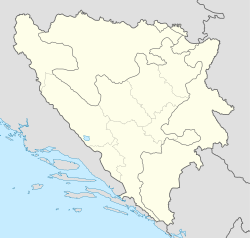 Orah (Serbian Cyrillic: Орах) is a village in the municipality of Bileća, Republika Srpska, Bosnia and Herzegovina. It is inhabited by Serbs. The Dobrićevo Monastery was relocated from nearby to this location in 1964. This page was last edited on 28 March 2017, at 00:45 (UTC).